Shawn Byfield is an award-winning choreographer, public speaker, leadership coach and entrepreneur. Whether talking about dance classes, choreography, motivation or marketing, Shawn’s message is fun and energetic: two things that are lacking in today’s world. From Toronto Canada, Shawn Byfield is a DORA MAVOR MOORE AWARD™ winning choreographer (Canada’s version of a TONY Award™,) a GEMINI AWARD™ nominee, a two-time BLACK CANADIANS AWARD™ nominee, and a leading force in Canadian entertainment. He’s a veteran TV & film performer and actor, an internationally renowned dance instructor, and creator of Canada’s #1 dance studio for adults BYFIELD DANCE EXPERIENCE. Shawn is a certified public speaker, and a John Maxwell Certified Coach, Trainer and Presenter. Shawn is in partnership with John Maxwell, who has sold more books on leadership than anyone in history, and is ranked the #1 leadership and management authority. 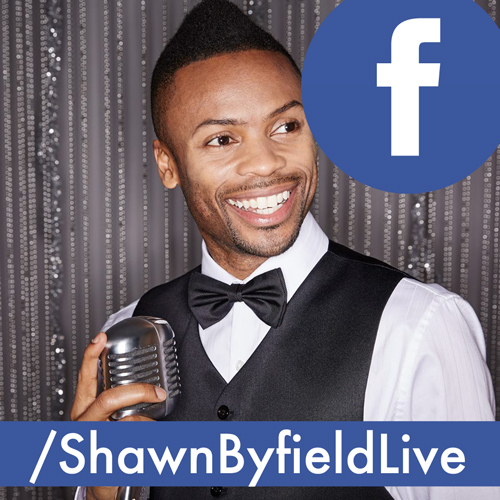 As the Author of an upcoming book, and a speaker with the BYFIELD BARTOLO INSTITUTE, Shawn offers actionable tips, advice, motivation and an inspiring message to new and aspiring business owners, dance instructors, entertainment professionals and our next generation of leaders and performers. Not only has he worked directly with Adam Sandler, Andrea Martin, Barry Lather and Jason Priestley, he’s coached thousands of dancers and artists nationwide. Shawn travels as a highly respected dance choreographer & instructor, entrepreneur coach and outstanding adjudicator and host for fashion events, dance competitions, large festivals, and corporate events. Film & TV credits include: Working The Engels, Make Your Move (with Dancing With The Stars champion Derek Hough and international recording artist BoA), Turn The Beat Around, HAIRSPRAY, Blues Brothers 2000, Taal, Bojangles, Confessions of a Teenage Drama Queen, The Music Man, The Ladies Man, The Juno Awards, Beauty & The Beast, Slings & Arrows, Royal Canadian Air Farce, Instant Star… TV commercials for Dentyne, Best Buy, The Bay, Got Milk, Rogers Video, McDonalds, Molson Canadian, Joe Fresh. Featured in the Globe and Mail, Toronto Star, National Post, Now Magazine, Eye Weekly, Toronto Sun, Canadian Living Magazine, and his engaging appearances on CP24, SLICE Network, Much Music, CBC’s The National, Rogers TV, Breakfast Television and numerous radio programs left listeners and viewers delighted and entertained. Shawn trains his students with the discipline needed to achieve greater success. 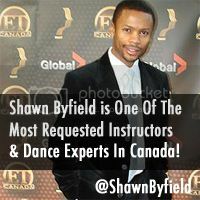 His students have worked with Michael Jackson, Britney Spears, Aaron Carter and Janet Jackson, star in Canada’s Shaw Festival, Stratford Festival, international shows on Broadway, Las Vegas and London England, and have appeared in hit television shows such as So You Think You Can Dance Canada.